The primary message of Judges is God will not allow sin to go unpunished. As Exodus established, Israel was God’s people—He was their King. 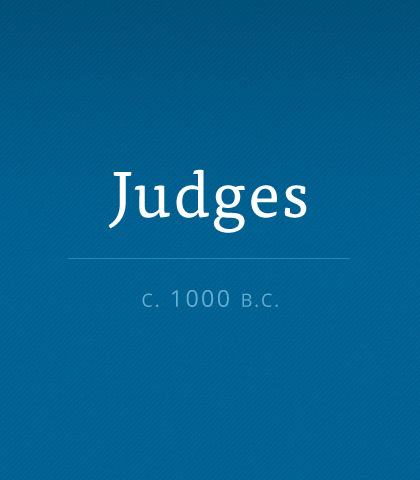 Read more about the book of Judges. It’s rough for a nation to pull itself out of the swamp of political scandal and public distrust…but to do so several times in a row is unheard of. Or is it? Some Things Have Gotta Go! Centuries ago, as God led the ancient Hebrews into the Promised Land, He specifically instructed them to clear the territory of the foreign tribes and to rid themselves of the influence of Canaanite civilization. From this example, we can draw an analogy for today. If we truly desire to grow deeper, pull together, and go further than skin-deep superficiality in our relationships, we must remove those things that hinder true community.